We recommend that your doors are fitted with a multipoint espagnolette locking system. Finished in a Silver Bichromate to BS EN 1670: 2007 Grade 4. 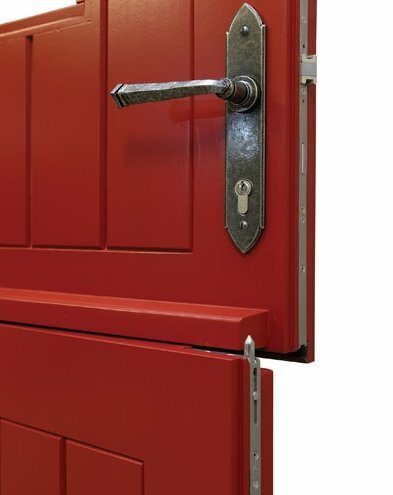 This impressive locking system is Police Secured by Design approved, and has been fully tested to PAS 23: 1999 and PAS 24: 2007, and surpasses BS EN 14351-1: 2006. Winkhaus Single Door Espagnolette Brochure. Winkhaus French Door Espagnolette Brochure. A lock is only as good as its cylinder, that’s why we fit a 3 star security cylinder in conjunction with our multipoint lock. The ultimate and the latest in cylinder security, standing alone as offering the highest level of security in the UK today. KABA pExtra Guard KPD Euro Profile Double Cylinders have been designed specifically to meet the TS007 3-Star standard for lock cylinders, and has undergone rigorous testing prior to its full approval to the new standard, to provide a counter-measure to, amongst others, the increasing threat of snapping locks, the cylinder itself features several layers of protection. In particular, the cylinder features a sacrificial break slot, which ensures that in the event of the cylinder being snapped, the secure core of the lock is retained within the door, preventing forced override of the cylinder. Anti-Snap. The front section of the cylinder is designed to snap off when forced, leaving the cylinder in place, and the door secure. Anti-Drill. XPD cylinders are engineered using high strength materials and a robust construction to withstand prolonged drilling. Crumple Zone. The cylinder will collapse to a predefined pattern when under attack, leaving the core mechanism intact. Grip Resistant. The unique integrated grip resistant device prevents intruders wrenching the cylinder with grips. Interlocking Cam. The cams within the cylinder are designed to interlock, providing a greater degree of security. Anti-Bump. Many cylinders can be easily ‘bumped’ – inserting an illegal key and tapping to release the cam and open the door. XPD cylinders are proven to resist this. Anti-Pull. These cylinders feature advanced plug extraction. Why should I have a 3 Star Security Cylinder fitted in my door?